View the threads Eglantyne has started. Leave feedback for Eglantyne or read feedback left by other members. View the member feedback Eglantyne has written of others. 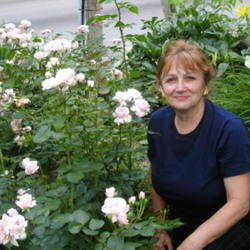 "My new Rosegarden in a new location.First year blooms July 2007."